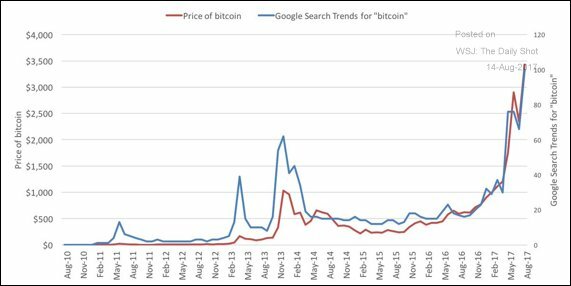 This entry was posted in Economics & Politics and tagged bitcoin, Menger, Theory of Money. Bookmark the permalink. I’m with Peter Schiff on Bitcoin. Right now, it’s a speculative asset, not a currency, and definitely not money. For Amazon, what do you mean by “gaining strength”? My question was too cryptic. Amazon “gaining strength” through the consolidation of banking and easy credit. Too big to fail banks grow bigger and lend to large companies based on assets while community banks close or merge. The little guy’s cost of capital is much higher. The financialization of the economy lends toward monopoly. On top of that you have the index craze where more money HAS to go to the biggest (mkt. Cap) companies. Take a look at the Russell Index vs. SPY, for example. with the highest weight in the S&P 500 at near 4%, is held in 245 ETF’s and is a top 15% weight in 150. Apple, Microsoft, Facebook and Amazon make up 0ver 10% of the S&P 500. It will be interesting to see what occurs when these ETF’s begin to experience significant outflows. ETF’s hold very little cash, if any, and must liquidate holdings to raise the funds. Companies purchasing their own stock, largely with borrowed funds, have been one of the biggest buyers in the market. What happens as their purchases are beginning to decline. 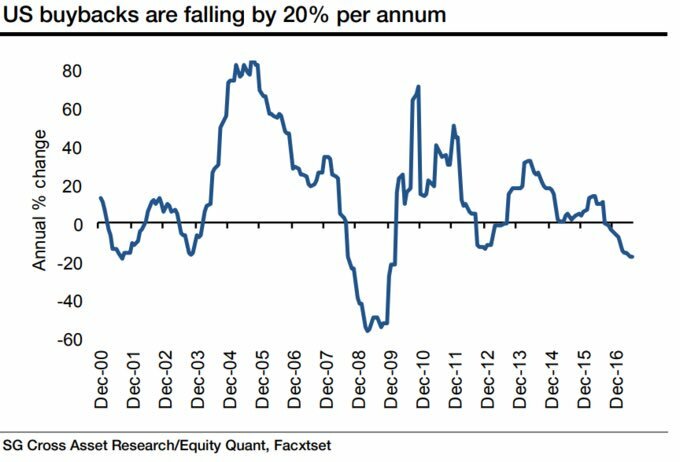 Will they return to the market in a downturn to resume buybacks or have the vast majority pushed their leverage ratios beyond their respective comfort zones. We have seen relatively covenant lite bonds issued recently, but I wonder if the covenants that do exist will restrict future borrowings. I’m struggling to ascertain where future equity purchasers will appear. Short sellers have been squeezed hard and short interest is at a low, pensions and endowments have been starved of interest income and have become net sellers to meet liabilities, central banks appear ready to halt purchases of securities (though the markets have their doubts), retail investors appeared to be leveraged to max with margin loans at highs and cash balances at lows. The coordinated efforts of central banks across the globe have propped up the markets thus far and endangered capitalism, essentially turning the equity markets in a giant leveraged buyout. 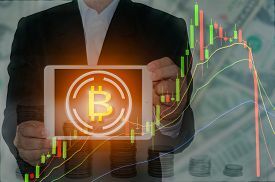 This is evidenced by the declining number of equities on the exchanges. If central bankers were to withdraw liquidity it could be look out below. However, the market still believes the central banks will continue to ride in on a white horse and prevent significant declines. The continued shorting of volatility underlies this belief and represents a cause of concern. A sustained, elevated VIX level or backwardation of the VIX term structure could quickly spiral out of control. However, this would most likely be muted by those selling long VIX positions. I believe capital has been allocated extremely poorly over this period of low interest rates and money printing. The central bankers have chopped off the invisible hand and the piper must eventually be paid. You cannot continue to borrow incessantly and believe you are growing wealthy. Negative divergences are starting to appear within the U.S. equity market, but we have seen this before with Brexit, the election of Trump, the so-called earnings recession, taper tantrum, etc. Are market participants being lulled into a false sense of security? Is complacency growing too strong? Unfortunately, investing today has been reduced to following the actions of central banks. I believe the end comes when the central bankers decide, in earnest, to remove liquidity. Obviously, the Fed believes that it can gradually remove excess liquidity and guide the economy to a soft landing, but their record of doing just that isn’t so great. Additionally, we have witnessed the ability of the central banks to reverse course at the first sign of trouble. The most recently released Fed minutes revealed a divide. I’ll be watching come September to see if they start to reduce their purchases. Another point of interest will be the potential end of Janet Yellen’s term and the potential replacements beginning in early 2018. 2018 will be an interesting year for the markets with all the potential activity occurring at the Fed and the end of easy year over year comparisons for earnings (current earnings comparisons are being made to depressed earnings during the earnings recession). Jesse Felder brings up an interesting point, in his most recent blog post, concerning weighting companies according to free float. This punishes companies where insiders own a significant portion of the equity. Personally, I would prefer the founders and executives have a substantial portion of their personal wealth invested along side mine.